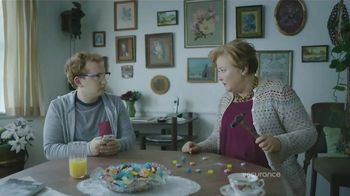 At first, Shirlee was leery of Candy Crush, but she's hooked now! 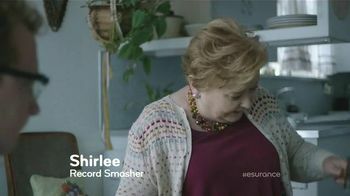 It's almost as simple as her car insurance...Shirlee has a lot to learn. 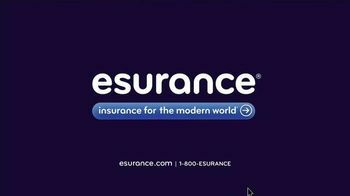 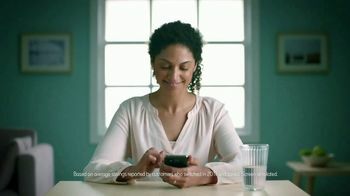 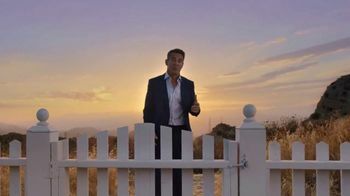 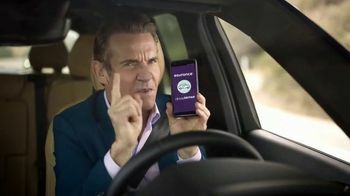 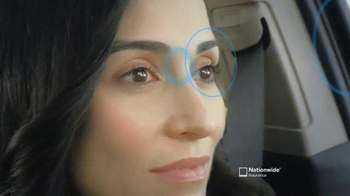 In its Insurance for a Modern World campaign, Esurance hit upon a wonderful creative nugget and parlayed that into a consistent competitive comparison against GEICO. 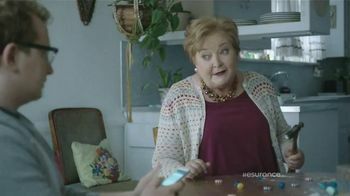 The creative hook of the campaign is an out-of-touch old character (GEICO) who is so out of touch, she thinks saving 15 percent in 15 minutes is cutting edge. 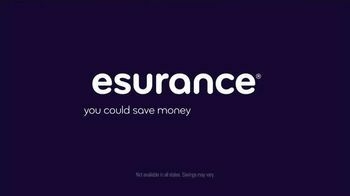 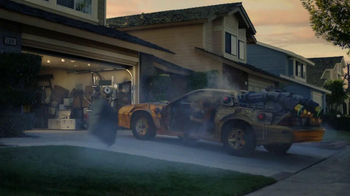 Esurance cleverly reminds us otherwise. 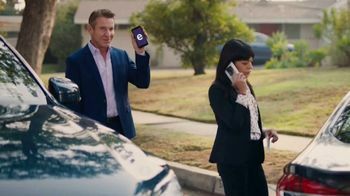 This latest ad in the campaign is perhaps the most effective. 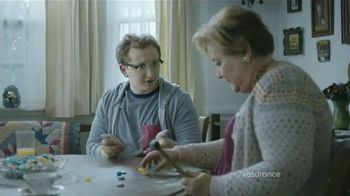 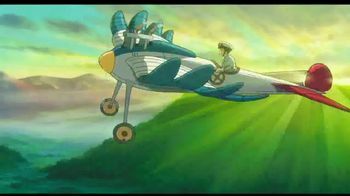 The Grandson is perfectly cast as "today" and the grandmother has the perfect blend of confidence and cluelessness that makes her endearing. 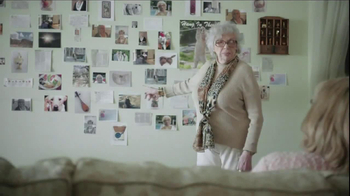 The scene is shot well as framed around the table. 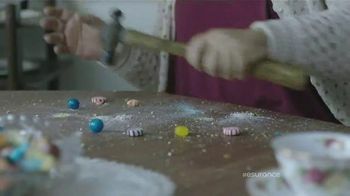 It gives the perfect location to punctuate the creative and copy with a SMASH, SMASH of the hammer - sounding great against the table.